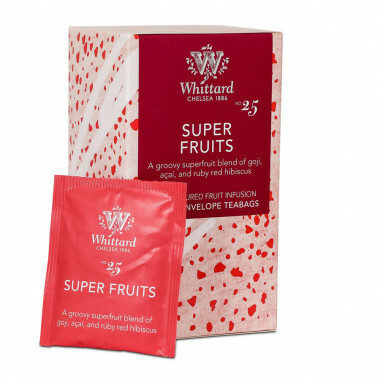 Herbal tea with flavours of goji berry and açai powder with hibiscus and rosehip floral notes. Super fruits infusion is a blend of goji berries and açai powder with hibiscus and rosehip floral notes. The citrus gives it a refreshing touch. You can drink it at any time of the day. 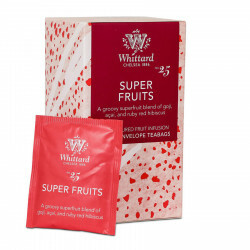 Ingredients: apple, rosehip, 19% hibiscus, lemon peel, flavouring, açai powder, goji berry.